While perusing the local Craigslist ads recently I came across a most fabulous set of double wall ovens. What makes them totally drool worthy is that they are vintage General Electric from 1965 and they are cotton candy pink!! The current owner Debbie tells me that they are 25-27 inches and she has the original manual to go with them. From the pictures they appear to be super clean inside. Located in Hampton, VA and you can find the Craigslist ad here. Help save the pink ovens!! 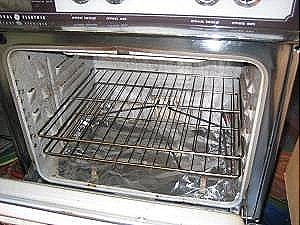 Ovens have found a good home with a couple retiring to Arizona and planning a 1960's restoration. Yippee! My husband’s grandparents were sort of local celebs because they had the very first pink kitchen in town. LOVE IT!! We rented a bungalow in the 90’s with a kitchen remodeled in the 50’s or 60’s. 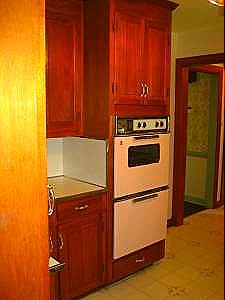 It had that set in turquoise with the matching fridge and stovetop, boomerang counters, gold flecked linoleum, pink tiles, and the best blond wood cupboards I’ve ever had the pleasure to use. It was AWESOME! In fact it was the whole reason we rented the house, because we already had a pink and chrome table and chairs. Yep, good times. Thanks for sharing, thanks for the memories! What an oven! Reminds you how far ovens have some. I mean compare these to some of the double wall ovens out there now. Such a world of difference!